Our New Surfside Shop has a flawless 5-star rating! "Excellent haircut with Marisela. Every time I come here I get top of the line quality!" "Amazing place, barbers and hair dressers are very talented, I got a complimentary hand massage while I was getting my hair cut and enjoyed the entire experience." "Love this place! Staff is nice and very attentive. I can always count on a legit Haircut. Danny is my main guy but any of the guys will give you a great cut." "Best place in south Florida to get a haircut. highly recommended. great guys, very personable. ask for Daniel. Gina gives the best hand massage." "Wilfred the Barber is the best Barber in Miami. If you need a cut before you go out on a Saturday night, you need to stop by and see this man at RazzleDazzle Barbershop in Brickell !!!!!!!!!." "Awesome staff. I had my first hair cut with Clara 3 years ago and no one has cut my hair but her. She even takes care of my kids hair. Very competent and professional, she makes all the RazzleDazzle experience worth. Highly recommend. Stop by and say hi to Clara." "Great quick haircut in a unique environment. Period outfits with standards playing in the background." "Friendly staff. Great job. Passionate. Complementary hand massage wonderful service. My husband is happy." "Professional staff, cater your needs. I drive 16 miles from Broward to get haircut for me and my 6 y/o. Well worth the drive!!!."  "I have been coming to South Miami RAZZLEDAZZLE Barbershop for about a year & have gotten at least ten haircuts, & I have never received anything less than phenomenal service. RAZZLEDAZZLE staff are fun & friendly & excel at what they do. The atmosphere is unlike anywhere else & I always look forward to getting my hair cut here. I wouldn't recommend anywhere else!" "Guillermo did a great job with the haircut and hot shave and Sheena was just great with the manicure and pedicure... overall great service and atmosphere.!" "This joint is amazing! My son and I had an incredible experience with Daniel-he was really friendly and knew his way around a pair of scissors. We even joked about flying out to Miami whenever we were in need of a fresh new look. Highly recommend this place for men and women alike!" "This is an amazing place to go if you are looking for a great haircut, and a fantastic experience. It offers a spectacular visual display accompanied by many bright, smiling faces. If you are looking for a clean, neat cut with a trustworthy barber, I highly recommend Razzle Dazzle. Daniel was my barber and he provided me with an ideal haircut that naturally fit my head. 5 stars overall!!" "I love the RazzleDazzle chain of men's salons. I think they are fun, friendly, a great value, and a great cut. I walked into this new location on their first day open and was their first customer! They took my photo to celebrate. I got a great cut as always.!"